School Board of Hillsborough County. Find them online at www.sdhc.k12.fl.us. State of Florida Department of Children & Families who is a Funding Agency for Northside Mental Health Center. Find them online at www.myflfamilies.com. The Joint Commission on Accreditation of Healthcare Organizations sets the standard for quality of healthcare. Find them online at www.jointcommission.org. 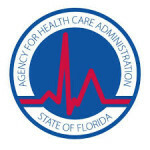 The Florida Agency for Health Care Administration is responsible for and provides information about State of Florida Medicaid. Find them online at www.fdhc.state.fl.us/Medicaid/index.shtml. Find them online at www.cfbhn.org/Pages/aboutus.aspx.